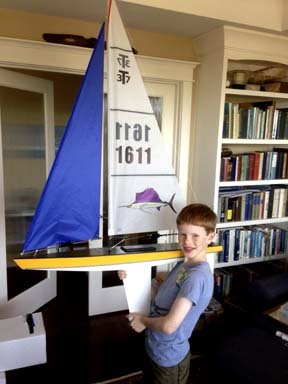 Tippecanoe kits are fun and easy to build. In our world which is becoming increasingly virtual it is a great experience to build something real and tangible. 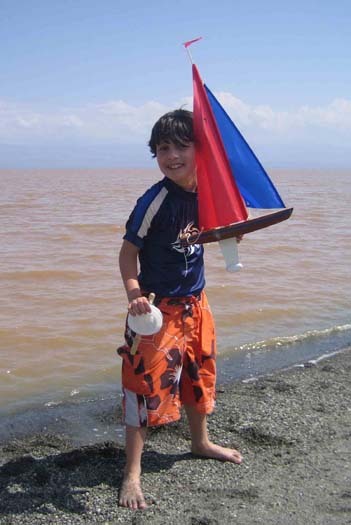 The excitement of getting to sail your own boat when you have finished building is unparalleled! What could be more fun? 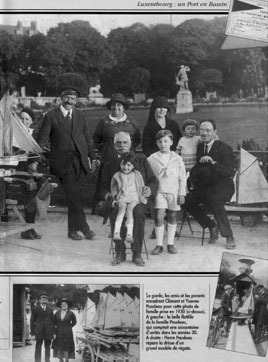 The Tippecanoe boat you build tomorrow might well be in your family for generations to come. We design our boats to be beautiful, to sail fast, to be easy to build and to last for years and years. 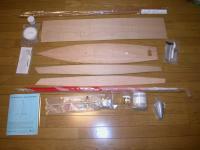 All of the woodworking is already completed when you receive your free sailing kit. The sails are pre-sewn and the hull is already sanded, ready for varnish. The building instructions are very clear and easy to follow. Everything you need to build the kit is included except for paint or varnish. The T12 and the T15 include racing stripes that can be applied to the hull for an extra decorativie accent. Assembly time after varnishing is about 25 minutes for the T12 Cruiser, 30 minutes for the T15 Racing Sloop, and 45 minutes for the T18 T-Class. All of the boats are also available finished and ready to sail. 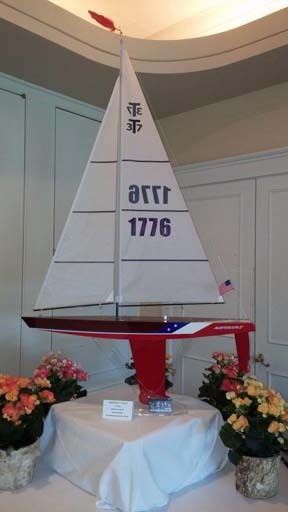 Tippecanoe RC boats are sophisticated and fast - and easy to build! 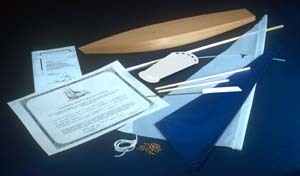 Every kit includes everything you need to build and sail your Tippecanoe radio controlled sailboat except for paint, varnish and AA batteries. All of the radio control gear, including the handheld transmitter as well as the in-boat reciever, is included in the kit. The radio control gear is all full power rc hobby gear. The instructions are written clearly in non-translated English and are based on the assumption that you are an aero-space engineer that needs very little help - no, actually I write all of the instructions with the assumption that you have never done anything even vaguely similar to building a boat before in your life and every detail of every step is explained very carefully. After all, before long, you will have your beautiful boat at the lake and lots of people will be admiring it and asking if it was hard to build. When owners tell others how fun and easy the boat was to build and how clear the instructions are - well, this is why there are so many Tippecanoe boats in the world today. We currently have over 65,000 Tippecanoe boats sailing in more than 60 countries around the world. We do everything possible to make building your Tippecanoe boat as fun and as rewarding a project as possible. You can call us anytime and talk with Will, the designer of the boat you are building if you have any questions or want to share an update on how your boat is progressing. Spare parts are always available upon request and all of our kits are made right here in the US. The wooden parts in our RC kits are pre-cut with a precision computer controlled router. The boats are assembled with a West System marine epoxy, the same as is used on full sized boats. All of the epoxy is included in the kits. We include a clear version and a pre-thickened version of the epoxy. The pre-thickened version spreads just like mayonnaise with no sag and no running so it is remarkably easy to use. The epoxy is super strong, so your boat will last for years and sail beautifully even if you only get a small amount of the epoxy in the right places! The differences we see between boats that different owners have built is only how carefully the final finishing is done. All of the boats are beautiful, all of the boats sail beautifully and all of the boats will last for many, many years. Every boat is finished off differently with different colors and different design ideas so every boat becomes a very personal creation with its own special character. Go wild, build a boat! 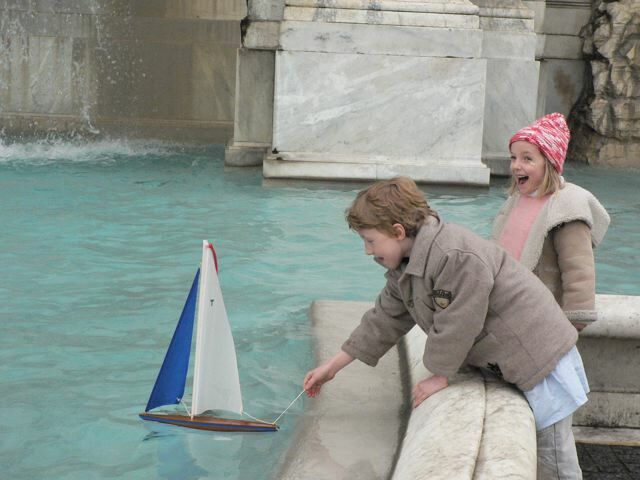 Have fun building and sail a boat that you have built!